Retro Post: What if there was no Google? | Jody Nimetz Co.
Here’s an interesting thought? What would the online ecosystem be like if there was no Google? Would there be some other search monolith or would there be other mechanisms for browsing online content? Would this mean Bing would be the main player in Search or would Yahoo have prevailed or would the innovative by much smaller Ask.com be the preferred choice for searching the Web? One things is for sure, if there was no Google, there would be a few less millionaires and billionaires from the Silicon Valley. Also Donald Trump would have one less enemy in Google. This is a topic that might be interesting to revisit. In fact this would be a great topic for a book to see the impact of Google on the everyday lives of people and how our online habits were/are shaped by Google. Here’s a look at another retro post that I wrote from February 2007. The other day I was thinking about how life would be different if there was no Google. 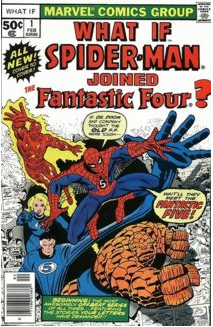 For those of you who have read Marvel Comics you may remember a series they had in the 1970’s entitled “What If?“. Basically each issue would provide a storyline with an alternate ending asking What If??? For example What If Spiderman joined the Fantastic Four? or What if the Hulk went berserk? It was an interesting idea for creating unique storylines as the creators of the characters could experiment with alternate realities. I have often wondered about What If Google never took off? What If Google was an also-ran? Can you imagine how different the world would be sans Google? Here’s my thoughts on What If Google did not exist? It’s hard to say exactly how the world would look without Google, the world’s most frequently visited Web site [source: Alexa]. But there are hard numbers that wouldn’t exist without this Silicon Valley behemoth. Google is a big company, employing around 30,000 people as of this writing [source: Google]. It also tries to share the wealth; in 2010, Google’s charitable giving topped $184 million [source: Google]. Google offers a whole suite of applications (too many to list here), and a lot of them are free. You can use Gmail for e-mail, Docs for sharing all sorts of documents, Maps for navigation, Earth for geographic and topographic information (and even oceanographic maps), Calendar to organize all of your life’s activities, Analytics for tracking statistics regarding your Web site and Blogger to set up a blog for both personal and professional purposes. The lineup also includes Google Scholar, Patents, Google + (for social networking a la Facebook), Groups, Finance, and many more. There’s also Image search, which lets you find just about any image that’s ever wound up online. And of course, there’s the Google search engine, which revolutionized the way we find information on the Web. Google simply offers a lot of ways to accomplish a lot of different tasks, for not a lot of money. When Google first appeared in 1998, search engines were a matter of personal preference. Some people opted for the visually busy layout of Yahoo. Others liked Webcrawler, Altavista, Dogpile, HotBot, Ask Jeeves or Excite. ← NFL Search Results: Which Search Engine has the best results?